Terex Cranes is officially one of the four finalists in the renowned Swedish Steel Prize organized by Swedish steel manufacturer SSAB. The company made it to the final round with its Boom Booster kit for the Terex CC 8800-1 lattice boom crawler crane. 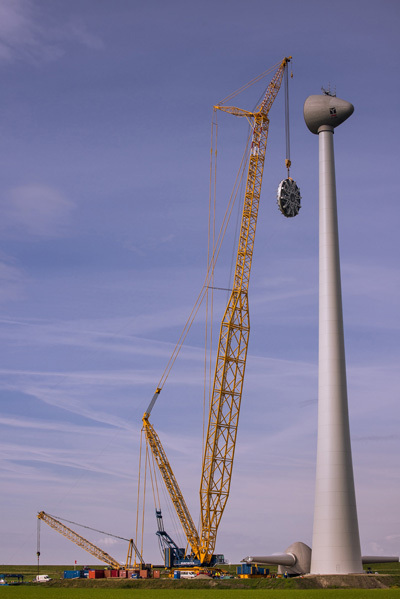 This innovative high-strength steel lattice boom structure, which is designed to be mounted on a unit’s main boom, won the jury over with its ability to increase the lifting capacity of CC 8800-1 crane by up to 90%. Moreover, its ease of assembly and transportation played a decisive part in securing the nomination. “The fact that we went up against a strong list of contenders with about 70 top-class international industrial companies and made it to the final four is something that makes us tremendously proud. It shows not only that we are one of the world’s most innovative manufacturers, but also that we have cutting-edge know-how when it comes to working with high and ultra-high strength steels,” says Harald Riedinger, Director of Technology and Innovation at Terex Cranes in Zweibrücken, as he happily comments on the company’s nomination. The first Swedish Steel Prize was launched in 1999. It is designed to recognize and reward creative, innovative products or solutions that utilize high-strength steel.